After spending few years in the Kamyaka forest, the Pandavas embark on a grand pilgrimage to visit the various holy places around the country. and learn about their glorious legends. Rishi Lomasha volunteered to be their guide. On their first stop, they visit the Ashrama of Rishi Agastya. 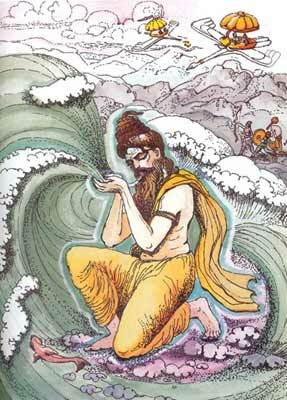 Lomasha tells them the stories of the strange miracles performed by Agastya. Listen to this exciting episode, and don’t forget to give us your feedback. wow its wonder full experience to Mahabharata Episode. great sir and good voice..